Since 2015, the Eithne and Paddy Fitzpatrick Memorial Fund has been proud to sponsor the good work done by the Barnardos Finglas Early Intervention Service Project. Barnardos aims to enrich the lives of vulnerable children living in the most disadvantaged areas of Ireland by providing targeted services to support education and healthy social development for the children, as well as family support for their parents. The Finglas section of Dublin struggles with many challenges, and only 67% of the children from there go beyond a primary school education, compared to a national average of over 90%. In addition, only 18% of the population there achieves a third level qualification, compared to the national average of 38%. Barnados is committed to creating opportunities for the people of Finglas through better education and other support services. 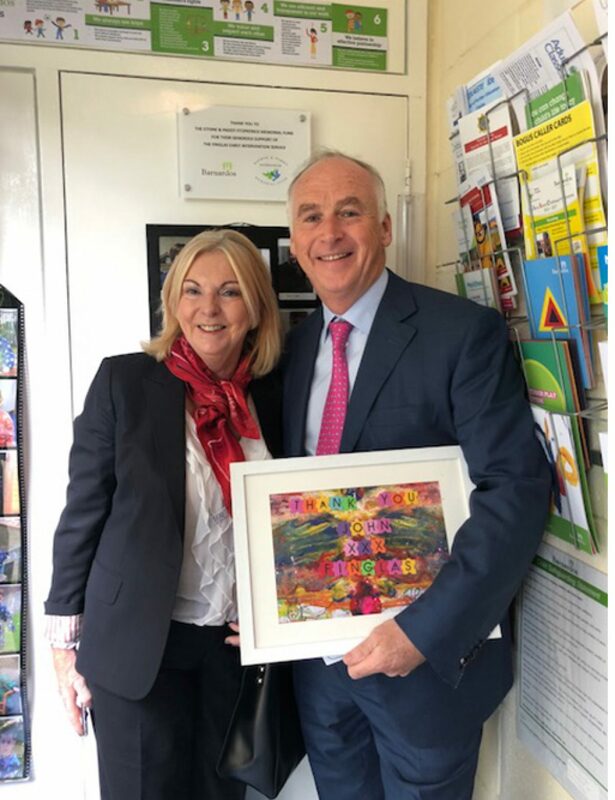 John Fitzpatrick, accompanied by his sister Eithne Scott-Lennon, recently visited Barnardos Finglas, who named a room within the service after the Eithne and Paddy Fitzpatrick Memorial Fund in recognition of their support over the past four years.